Here are some fruits that are illustrated with their peeled alternative. 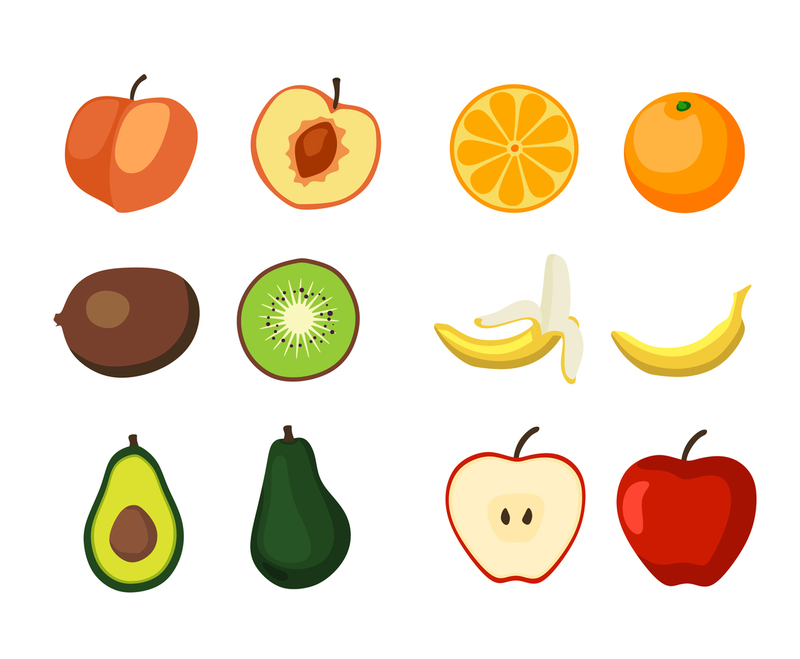 The illustration is in vector format and in the set you can have isolated illustration of peach, tangerine, kiwi, banana, avocado and apple. It can be great as design element in fruit juice packaging or promotional print for a grocery store.